Christian-Muslim Relations, a Bibliographical History Online is a general history of relations between the two faiths as this is represented in works written by Christians and Muslims about the other and against the other. It covers all parts of the world in the period 1500-1914. 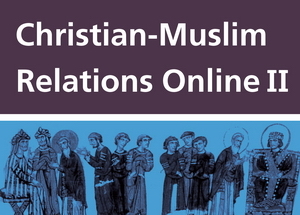 Christian-Muslim Relations, a Bibliographical History Online comprises thousands of comprehensive entries on individual works and their authors, together with introductory essays to the periods and areas covered, making it the fullest available source in this field. Epistola domini Marci Maruli Spalatensis ad Adrianum VI. Pont. Max. Russkii posol v Stambule: Petr Andreevich Tolstoi i ego opisanie Osmanskoi imperii nachala XVIII v.
The Asiatic mystery. The fire faith!—The religion of flame!—The force of love!—The energos of will!—The magic of polar mentality! First Rosicrucian manifesto to the world outside the Order! Dutch versus Portuguese colonialism. Traders versus crusaders?